A number of people ask what Provincetown is like in the off-season. In response we created a web site to answer that very question. The Celebrate Provincetown web site was created by Dan a couple of years ago so visitors would know what restaurants are open and what activities are going on. There’s no question Provincetown is much quieter in the off-season than in July and August, but a number of great restaurants are open year-round. 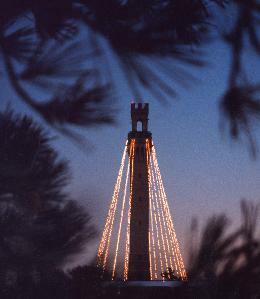 Visit the celebrateprovincetown.com web site to find out which ones and what days they are open by visiting the restaurant listing for each month. If you click on the Events/Entertainment page you can find a list of activities for the month. You can find out about theater happenings at the Provincetown Theater or that the Boston Gay Men’s Chorus will be appearing at the town hall auditorium on Saturday, December 1st. Or that the Cape Cod Symphony Orchestra will be performing a special Christmas version of Handel’s Messiah on Sunday, December 16th in the town hall auditorium. And it’s never too early to think about spending New Year’s Eve Weekend in Provincetown. The calendar is aligned perfectly this year as New Year’s Eve is on Monday. Spend a perfect three day weekend (or more) in Provincetown to celebrate the start of 2013. Check out the celebrateprovincetown.com web site for details, but we’d suggest seeing Miss Richfield on Saturday night and Suede in concert on Sunday night and then you have lots of options for New Year’s Eve. are steps away from everything. Come spend New Year’s Eve Weekend with us in Provincetown!